The inaugural FNB Cape Town 12 ONERun race takes place this Sunday, 17 May, between Woodbridge Island in Milnerton and the Cape Town CBD. It is the first time that the launch race attracts 10 000 entries, says Michael Meyer of organisers Stilwater Sports who compares the event to the Boston Marathon. The race is sponsored by Puma. 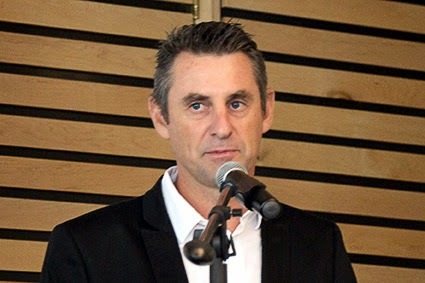 "The addition of the FNB Cape Town 12 Onerun represents a perfect alignment - the course will be fast, but the distance is short enough that literally everyone can participate. This is exactly what excites us about the race," said Brett Bellinger, Marketing Director of Puma South Africa, at the launch of the event earlier the year. The brand will, among others, have a presence in Adderley Street during the race. So why the 12km distance? South Africa is fixated on ultras, says Meyer, and we need shorter races. It’s also a perfect distance for healthy people to participate in, he adds. Worldwide the trend is towards shorter distances and countries are measured by their race distances that the global community understands. They don’t really understand ultras, says Meyer. 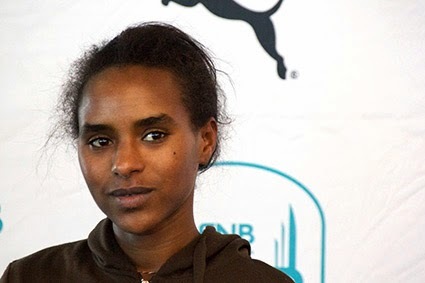 Some of the well-known athletes that will be taking part on Sunday in the first ever FNB Cape Town 12 ONERun race spoke with the media today. It’s nice not having to travel far to compete, says South Africa’s Lusapho April. 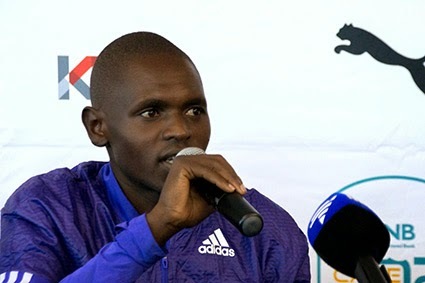 Lusapho April is still recovering from competing in the Boston Marathon in April, but he says he’ll be ready on Sunday. 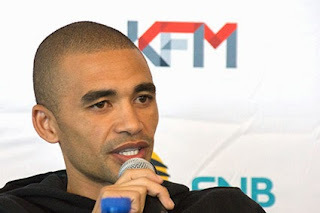 It’s nice not having to travel far for a change, he says, and adds that now the international athletes get to experience the countless airport hours that South Africans normally have to endure in order to compete. 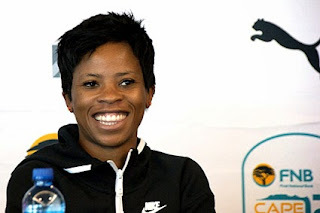 April has represented South Africa five times, among others at the 2012 London Olympic Marathon. He has also won the Hannover Marathon twice and finished third in the 2013 New York Marathon. Mapaseka Makhanya is grateful for the opportunity to be able to run this type of race on home soil. FNB Cape Town 12 ONERun in her home country. Due to the 12km distance not being standard, she’s not sure what time she expects to race. 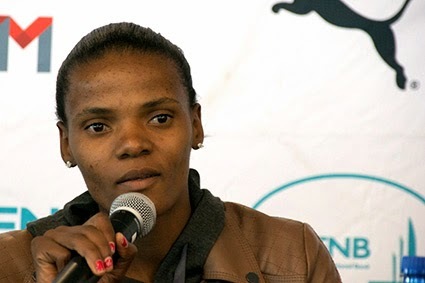 Makhanya’s running background is on the track (800m, 1 500m), but she started road running in 2013 when she won the Spar Ladies 10km Series, set a personal best in the 5km on the track and then won her debut marathon, the Gauteng Marathon. This year, she ran a new personal best marathon in Hannover. Sunday she will return to her roots in the shorter distances. 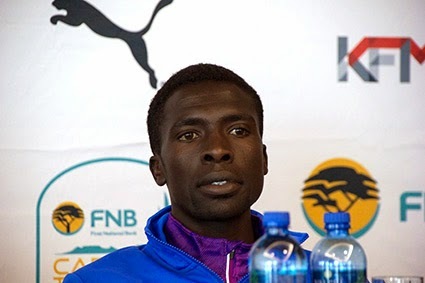 Vivian Cheruiyot from Kenya is delighted to be back and racing in South Africa. 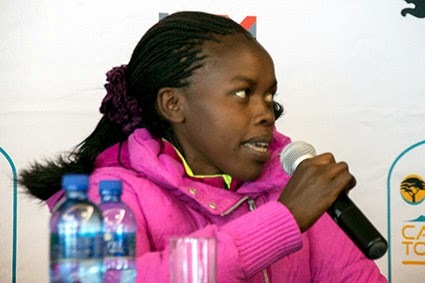 Vivian Cheruiyot from Kenya is a fan of racing in South Africa. She was very happy when her manager told her about the race and is very glad to be back in South Africa again. 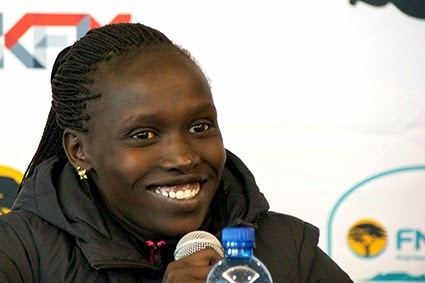 Cheruiyot is no stranger to the short distance race, having won a silver and bronze medal in the 2012 London Olympic Games for the 5km and 10km events respectively. She recently gave birth to her first child and is now returning to competitions. Emmanuel Bett enjoys competing at the lower altitude. Emmanuel Bett from Kenya says he feels that he has an advantage being able to train at high altitudes in his home country Kenya. This is due to the body straining at high altitude to get enough oxygen, but at lower altitudes, such as in Cape Town, the body doesn’t need to strain as hard. Bett was 2012’s world’s fastest 10km runner, since which he has won the Great South Run, Alcobendas Cross Country and the Zatopek 10 000m. Elroy Gelant feels the playing fields are levelling out. 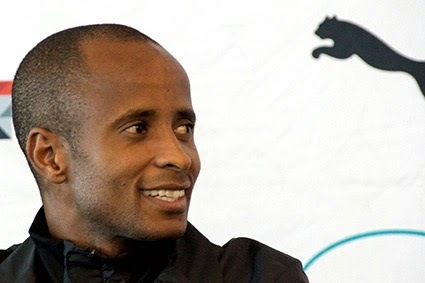 South Africa’s Elroy Gelant agrees with Bett, but adds that these days it’s easier for an athlete to go train at high altitude than in the past. Gelant was a 5 000m World Championships finalist in 2013, came seventh at the 3 000m World Indoor Championships in 2014, and has a bronze medal in the 5 000m World University Games. 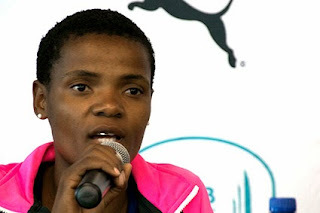 Lebo Phalula has changed her training to train like the Kenyans. South Africa’s Lebo Phalula has changed her training routine somewhat for this event, to train more like the Kenyans. She will be a South African Kenyan on Sunday, she jokes. She has represented South Africa 14 times in high profile events such as at the Africa Championships, Commonwealth Games, World Championships, etc. Most recently, she won the 1 500m and 5 000m 2015 South African titles. She is hoping to qualify for the 2016 Rio Olympics in the 1 500m. Lebogang Phalula doesn’t want to run like Kenyans. Her twin sister, Lebogang Phalula, has other ideas though. She wants to run like a South African. “One day Kenyans will say they want to run like Lebogang Phalula,” she says. She too wants to qualify for the 2016 Rio Olympics, in the 800m and 1 500m. She has represented South Africa at the Commonwealth Games, Africa Championships, All Africa Games and at the World Cross Country Championships. Moses Kipsiro is used to shorter distances. Uganda’s Moses Kipsiro is used to competing in 10km races and this will be an extra 2km to what he is used to. He is used to training 20km distances, though, he adds, so the extra 2km shouldn’t be a problem. Kipsiro is the 2014 Commonwealth 10 000m champ, having defended it after his win in 2010 when he also won the 5 000m, and is also a multiple World Cross-Country medalist. He has won the 8km road race in Trier five times, has won the 10km Great Manchester, and has come second in the Healthy Kidney 10km and Gangalore 10km. Doris Chageywo is guaranteed a personal best on Sunday. Doris Chageywo from Kenya is looking forward to doing a personal best on Sunday. She is guaranteed one as she has never run a 12km before and doesn't know what time to predict. Chageywo is a former Commonwealth Games and World Cross-Country medalist. After taking a break following the birth of her child, she came second in the 2014 Great Birmingham and third in the Great South Run the same year. It’s not going to be an easy race, says Yenenesh Tilahun. Sunday will be difficult, says Yenenesh Tilahun from Ethiopia, but she says she’ll give it her best. A relative newcomer, the has only been on the international scene since 2013, with a personal best of 49:52 in the 15km.